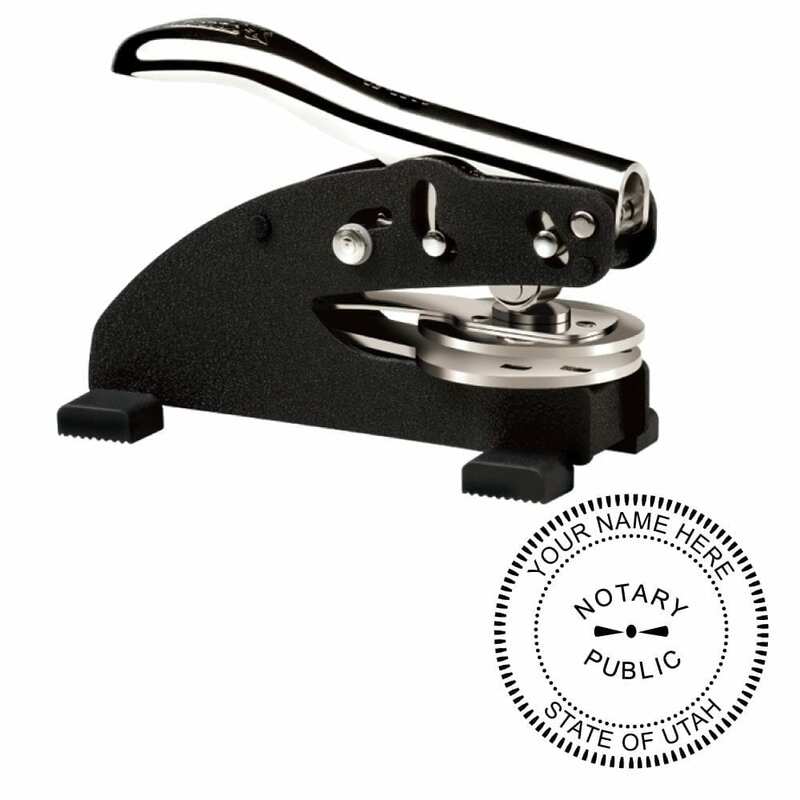 Choose your desired Utah notary embosser type and color below. Start by choosing the embosser type, then embosser color. Not all notary embossers offer all color options. If you already have an embosser handle, you can choose to get the insert-only and save some money. Be sure to choose the correct embosser above that matches your current embosser. The Trodat/Ideal Seal is the industry’s leading embosser. Engineered to provide increased pressure with minimal effort, the Ideal embossing seal features an ergonomic handle and a modern design. The Trodat/Ideal Seal produces clean, crisp impressions on most paper stocks. This embosser offers a high degree of leverage, longer paper insertion than many entry-level models, and a customizable, replaceable die-insert. The black, pink and chrome units ship with a customized die insert. If your commission information includes an expiration date, you will simply need to buy a replacement insert when your new term begins. The Shiny EZ ES/EM/ED seal produces clean, crisp impressions on most paper stocks. 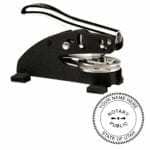 This embosser offers a high degree of leverage and a customizable, replaceable die-insert. The Insert listed in our store is just that – the insert ONLY. If you purchase an insert, you should already have an appropriate handle to place it in.